CAIRO - Film-makers, producers, directors and actors from across the world flocked to El Gouna Film Festival to highlight the Egyptian and regional film industry. More than 80 films, including 11 Arab entries, were screened during the week-long festival and 40 films participated in the festival’s official competition, with Siew Hua Yeo’s “A Land Imagined” winning the top award. The festival is the only private film festival in the Arab region and is the brainchild of Egyptian tycoons Naguib and Samih Sawiris. This was the second El Gouna Film Festival and few could have expected it to become so popular so quickly. The festival is seeking, Naguib Sawiris said, to become an occasion for cultural exchange among peoples, countries and regions. This year, the festival adopted the slogan “Cinema for Culture.” It looked at rampant bloodshed, conflicts and wars in the Arab region and beyond, hoping to play a role in connecting people and teaching the values of coexistence and tolerance. The Sawiris brothers and other sponsors spent $3.3 million to bring together 450 people involved in the cinema industry, including 150 international actors, actresses, producers, directors and critics. International celebrities attending the event included American stars such as Patrick Dempsey, Owen Wilson, Andrew Wilson and Brazilian actress Desiree Popper. Hollywood action star, director and screenwriter Sylvester Stallone was awarded El Gouna Special Innovation Achievement Prize. The participation of Hollywood stars such as Stallone brought international attention to El Gouna, an up-and-coming Red Sea resort 25km north of Hurghada. The Egyptian government is trying to use the notoriety to return activity to the local tourism sector. Egyptian Tourism Minister Rania al-Mashat said the ministry would include the festival in its entertainment plan for next year. She said the festival showed that security has returned to Egypt’s tourist destinations in the Red Sea and in South Sinai. “Such festivals also give a positive message about Egyptians who like to be open to other peoples and cultures,” Mashat said. “A Land Imagined” won El Gouna Film Festival’s Gold Star. Directed by Yeo, a Singaporean director, the film tells the story of two Chinese construction workers who go missing at a Singaporean construction site. El Gouna Film Festival also highlighted local and regional talent. The Syrian film “Of Fathers and Sons,” directed by Talal Derki, won El Gouna Star for best Arab film in the documentary category. Egyptian film “Yomeddine,” directed by Abu Bakr Shawky, won best Arab film in the features category. CAIRO - 15 September 2018: The first delegation of second and third Australian generation of Egyptian origin arrived in Cairo on Friday, and were received by Minister of Immigration and Egyptian Expatriate Affairs Nabila Makram. Delegation members are briefed on the strategic goals Egypt is opting for, challenges the country is facing, achievements and the efforts deployed to make ends meet in order to benefit from their ideas and suggestions as well as clear up any misconceptions propagated about Egypt. Furthermore, the program includes national security sessions in collaborations with Nasser Military Academy, field trips to military units to watch the soldiers training, and visits to the New Suez Canal. Sightseeing tours and trips are also organized for the Pyramids, Moez Street, Religions Complex, the archeological city of Luxor, Aswan, and Sharm El-Sheikh. Delegation members also meet with Grand Imam of al-Azhar and Pope of the Coptic Orthodox Church of Alexandria within the state’s framework to renovate religious discourse. Throughout the past three years, the ministry organized seven forums for second and third European, Canadian, and U.S. citizens of Egyptian origins in addition to ‘Wellspring Camps’ mostly receiving Egyptian expats in Arab countries. Egypt will launch the largest medical screening campaign for Hepatitis C in the world by applying a new initiative to detect and treat Hepatitis C to almost 50 million citizens, Presidency spokesman Bassam Rady announced. The initiative follows the “Tahya Masr” fund President Abdel Fatah al-Sisi announced in February which seeks to completely eliminate Hepatitis C in Egypt by 2020. The campaign will run from October 2018 until April 2019, targeting people aged 19 to 59 who will be scanned through PCR tests. Those testing positive for the disease are expected to undergo further check ups and will be provided free medication. The Ministry of Health (MOH) warned citizens against refusing to be scanned. Minister of Health Hala Zayed stressed that people take their families to examination, pointing out that “certificates of examination” will be a document required by governmental work and official papers. The Tahya Masr Fund (Long Live Egypt) announced in an August statement that the Hepatitis C virus in Egypt will be completely eradicated by 2020, through one of the largest medical examinations in human history. The Fund said that 45 million people will be screened in collaboration with the United Nations World Health Organization (WHO) to prevent the disease and make Egypt quit their list of endemic diseases. Egypt has the highest rate of Hepatitis C in the world, first surfacing in the 1950s due to unsterilized injections. The highly-infectious blood-borne virus kills an estimated 40,000 Egyptians a year, and at least 1 in 10 of the population aged 15-59 are infected, according to the WHO. CAIRO (AP) — Allegations of sexual harassment against a former employee at the German broadcaster Deutsche Welle have proven credible, the broadcaster said Friday, amid recent accusations of sexual misconduct against a famous Egyptian-British TV host who worked for DW. In an internal statement confirmed by spokesman Christoph Jumpelt, Deutsche Welle said its management had its attention brought to a possible case of sexual harassment. The broadcaster’s investigation showed that “the allegations made are credible ... and the accused person no longer works for DW,” it said. Jumpelt told The Associated Press in an email on Thursday that Egyptian-British TV host Yosri Fouda parted ways with DW after hosting a show for two years. Fouda joined the German broadcaster in June 2016. “As a general rule, we are not commenting on speculations or on matters specific to any individuals,” Jumpelt said. Friday’s statement came amid recent allegations of sexual harassment against Fouda, who is a critic of President Abdel-Fatah el-Sissi’s government. They first surfaced in Egypt’s pro-government media earlier this month, claiming that legal procedures against Fouda were underway in Germany. In another post on Wednesday, Fouda said the allegations were a smear campaign and that no legal action has been taken against him. He intends to take legal action against his accusers, he added in the post. Fouda has been a fierce critic of el-Sissi’s government since the 2013 violent dispersal of two sit-ins by supporters of then-President Mohammed Morsi — an Islamist belonging to the now-outlawed Muslim Brotherhood group — who was overthrown after massive protests against his divisive rule. In September 2014, Fouda ended the current affairs show he had been hosting for four years on Egyptian TV as a crackdown by el-Sissi’s government targeting independent journalists, activists and bloggers intensified, detaining dozens. 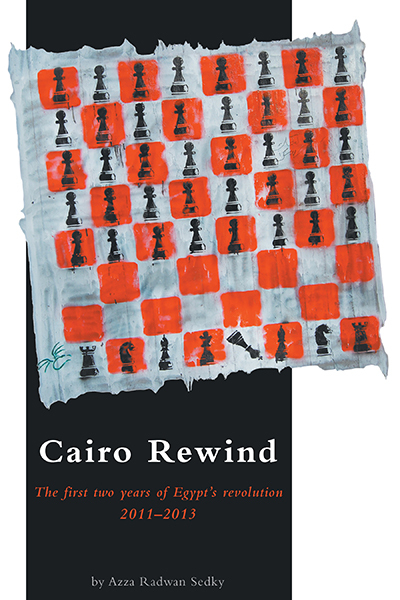 The best I've read on Egypt for a long time. Finally, someone gets it right. Thank you Michael Rubin. There is an unfortunate tendency within American foreign policy circles to develop irrational hatreds. Part of this is the product of partisanship: Within the halls of Congress, too often countries cease being partners and instead become political footballs. And part of it is tunnel vision. Human rights are important, but those who define themselves as activists are frequently unwilling to understand either the complexities of other societies or accept that the potential for instability is real, and the results of that instability could lead to far worse human rights situations. Consider Iran under the Shah: Iran was an important Cold War ally for the U.S. and, in the words of Jimmy Carter, “an island of stability in a sea of turmoil.” Iran’s lynchpin status led successive American administrations to paper over differences with the Shah. As Secretary of State Cyrus Vance explained in his memoirs, Carter was unwilling to turn a blind eye to the Shah’s human rights abuses. The Shah had long been unpopular among diplomats and, as Iranians took to the streets to protest his dictatorial ways, many in the State Department counseled in favor of abandoning the pro-American leader. National Security Advisor Zbigniew Brzezinski explainedthat “the lower echelons at State, notably the head of the Iran Desk … were motivated by doctrinal dislike of the Shah and simply wanted him out of power altogether.” They got their wish. Human rights activists swore until they were blue in the face that Ayatollah Ruhollah Khomeini was, as Senate aide William Miller described him, “a progressive force for human rights.” Richard Falk, a Princeton political scientist who was influential in the Carter administration and later enjoyed senior U.N. appointments, urged the White House to embrace Khomeini. “The depiction of him [Khomeini] as fanatical, reactionary, and the bearer of crude prejudices seems certainly and happily false,” he explained, adding, “His close advisers are uniformly composed of moderate, progressive individuals … who share a notable record of concern with human rights.” Of course, what followed, was an all-out assault on human rights that has led Iranians to pine for the days of the Shah. Now, consider Egypt. Like Iran, it is a pivotal country. After all, 1-in-5 Arabs call themselves Egyptians. Egypt controls the Suez Canal. Former Egyptian President Anwar Sadat’s decision to try peace instead of war with Israel has led to 40 years of peace, in contrast to the turmoil of the preceding three decades. Simply put, Sadat’s gamble provided a model to resolve the Arab-Israeli conflict which persists to the present. Traditionally, while the U.S. appreciated the role Egypt plays in the security of the region, there has been a broad bipartisan concern about the over-securitization of bilateral relations. This has led to a number of haphazard efforts to promote democratization and liberalism. Admittedly, it was as often the U.S. ambassador as the Egyptian government that killed such efforts. The Arab Spring, along with the fall of President Hosni Mubarak, brought the debate to the forefront. Young Egyptians sought democracy. The Muslim Brotherhood which had spent decades underground and in opposition jumped at the chance. They had developed a reputation for efficiency in their social service network and had long cultivated supporters among Egypt’s youth, diplomats, and analysts abroad who accepted their rhetoric of democracy at face value. After Mohamed Morsi, the Muslim Brotherhood-affiliated candidate, squeaked by in the 2012 elections with just 51 percent of the vote, however, the Muslim Brotherhood proved its rhetoric empty. Morsi cast aside previous democratic commitments. Rather than consult the public and political opposition, he sought to dominate Egypt. Even more explicitly than Turkish strongman Recep Tayyip Erdogan would later, Morsi argued his power should trump the judiciary. He offered the Egyptian people a Faustian bargain: Accept the constitution the Muslim Brotherhood opposed absent a parliamentary quorum, or suffer his dictatorship. That constitution imposed the Brotherhood’s religious agenda on a population that wanted jobs, not Islamic law. One article, for example, charged the state with protecting public morality, which Morsi interpreted in the most conservative, religious manner. Against this backdrop, the uprising against Morsi is understandable. In many ways, its story is even more important than the Arab Spring itself: In the space of a year, Morsi alienated and antagonized Egyptians in a way that took Mubarak three decades to accomplish. Within Washington, those who staked their career promoting or downplaying the Brotherhood, however, could not accept the manner in which Abdel-Fattah el-Sissi came to power. Fairer critics of Morsi thought it would have been wiser to allow Morsi to serve until electoral defeat. The problem with that, of course, is the assumption Morsi would have allowed free and fair elections. Abuses occurred in the months that followed Morsi’s fall, and neither el-Sissi nor the Muslim Brotherhood were blameless. El-Sissi cracked down hard, and Egyptian forces ran roughshod over critics and opponents. The Muslim Brotherhood, however, also turned to violence to avenge its loss of power. Things came to a head in the clashes on Aug. 14, 2013, when police tried to clear a sit-in camp near the Rabaa al-Adaweya mosque. Estimates vary, but in subsequent clashes, several hundred protesters died, as did several dozen police. That violence outraged critics who already harbored irrational hatred toward el-Sissi. Human Rights Watch Executive Director Kenneth Roth, for example, seemed to make up casualty figures out of thin air when he felt personally aggrieved. Within Congress, several representatives sought to withhold security assistance due to human rights concerns. For example, I used to visit Fort Hood, Texas, where helicopters bound for Egypt remained on tarmacs outside hangers, their transfer held up by a single senator. The Senate mandated Leahy vetting, in which aid to and training for foreign militaries is tied to their willingness to address accusations of human rights abuses. There are two problems with this, however. The first is that not every human rights accusation is legitimate. Both HRW and Amnesty International often corrupttheirprocesswithpolitics. The second is that withholding training because of human rights abuses likely guarantees those abuses remain unaddressed. Many senators and representatives are sincere in their human rights concerns, but their actions are callous and detrimental to human rights. Egypt is facing an Islamist insurgency in the Sinai that predates the ousters of both Mubarak and Morsi and is rooted more in ideology than grievance. To withhold the tools necessary to fight that insurgency risks empowering radicals that emulate the Islamic State or encouraging an Egyptian turn toward Russia which, likewise, would setback human rights. While the U.S. government should not abandon human rights advocacy, security blackmail is neither effective nor wise. It is true that el-Sissi has cracked down too hard on the press and opposition, but it is also true that he has forced through economic reforms that were a half-century delayed. Had he not constrained some political space, then populism both among secularists and Islamists would have pushed an already teetering Egypt off the fiscal precipice. Recently, Secretary of State Mike Pompeo authorized the release of $1.2 billion in aid withheld to Egypt because of human rights concerns. He is right to do so. Egypt fights al Qaeda, and it has done more than any other state to stabilize Libya. But there is more to do. U.S. officials continue to hold up spare parts for F-16s, unmanned aerial vehicles, and M1A1 tanks. These are all platforms used to battle insurgents, not journalists or the non-violent opposition. Defeating Islamist terrorism and securing human rights need not be mutually exclusive endeavors. How unfortunate, then, that even after Pompeo’s recent moves, Washington's myopia seems increasingly determined to pursue policies that promise to do neither. Michael Rubin (@Mrubin1971) is a contributor to the Washington Examiner's Beltway Confidential blog. He is a resident scholar at the American Enterprise Institute and a former Pentagon official. Holidays: More tourists are going to this sun-kissed country than before - have you been? HOLIDAYS: The fastest growing tourist destinations in the world have been revealed in new research - with a country popular with Britons taking number one place. Can you guess what it is? The fastest growing tourist destination in the world has been revealed in new research released by the United Nations. Egypt received a record number of tourists in 2017 compared to 2016 as the North African country continues to recover from a spate of terrorist attacks and tragic accidents. The finding was unveiled in the Tourism Highlights Report of the UN's World Tourism Organisation which presents a concise overview of international tourism in the world based on the results for the year 2017. The report revealed that 2017 saw the highest growth in international tourist arrivals in seven years since 2010, as well as the recovery of destinations suffering from security challenges in recent years. Egypt is one such destination. However, 2017 saw the country benefit from an incredible 55.1 per cent increase in tourists compared to 2016. “Egypt led growth both in absolute and relative terms in arrivals, rebounding strongly from previous years,” the report said. Egypt’s success in the report is backed up by statistics from Thomas Cook which has revealed that in 2018 Egypt experienced more bookings than in previous years. Mickey Mouse will celebrate his 90th birthday in Egypt this year, and other Walt Disney characters, including Aladdin, Rapunzel from “Tangled” and Sheriff Woody from “Toy Story,” will be busy entertaining Egyptian fans in Cairo Sept. 26-Oct. 6. After shows in Egypt in 2014, “Disney Live!” is returning to the land of the pharaohs, where the multitudes are fond of the performances by Disney characters. The Ministry of Tourism and the Ministry of Investment and International Cooperation are co-sponsoring the shows. Mashat added that her ministry plans to create an entertainment agenda that generates a variety of options for tourists and will present it in 2019. “One of the themes of the promotional campaign that will soon be launched by the ministry is ‘People for People,’ as others are interested in knowing what Egyptian culture offers humanity and how Egypt and its culture is open to the world,” Mashat said at the conference. Steve Armstrong, regional marketing director at Feld Entertainment, the production company for “Disney Live!,” also spoke at the Aug. 28 press conference, remarking, “We are bringing everything to the show. It is very exciting. Every family will love it.” The revue features Mickey’s Magic Show and includes 20 characters from Disney's most popular stories, movies and programs, according to Armstrong. “Disney Live!” will feature three shows daily — the venue is still to be announced — with ticket prices ranging from 120 to 1,500 Egyptian pounds ($6.70 to $83.60). Observers from the tourism and investment sectors have voiced optimism about the shows, believing they will have a positive effect on the country’s tourism and investment climate. After a record 2010, Egypt’s tourism industry declined rapidly in the wake of the Arab Spring in 2011 and was further hit by two terrorist attacks and a plane crash in 2015. The signs of a recovery are now, however, visible. A recent Reuters report quoted a government official as saying that the country’s tourism revenue jumped 77% in the first half of 2018, to around $4.8 billion, compared with the same period last year. In February, Egypt signed a contract with Entertainment World Company to build and operate a Disneyland-style amusement park in Alamein, in the Matrouh governorate. The project, with an estimated cost of $3.3 billion, will be funded by US and Saudi investors. يبدأ الأحد، وفد صيني من مسؤولي الحجر الزراعي الصيني زيارة رسمية للقاء نظرائهم في الحجر الزراعي المصري، لتفقد مزارع النخيل وإنتاج التمور المصرية لأغراض التصدير للبدء في فتح أسواق التمور الصينية أمام المنتجات المصرية لأول مرة، ضمن خطة وزارة الزراعة للتوسع في صادرات التمور المصرية لمختلف الأسواق الدولية. ووفقا لخطة مصر لتطوير قطاع النخيل والتمور في مصر تستهدف رفع التصدير من 38 ألف طن حاليًا إلى 120 ألف طن سنويًا خلال السنوات الخمس المقبلة، ومضاعفة صادرات التمور لتصل إلى 180 مليون دولار بدلا من 40 مليون دولار حاليا. وقال الدكتور أحمد العطار، رئيس الحجر الزراعي المصري، لـ«المصري اليوم»، إنه من المقرر أن يقوم الوفد الصيني بزيارة أخرى لمزارع العنب والموالح المصرية لتقييم مزارع إنتاج الموالح والعنب، والوقوف على المتطلبات الدولية لمعايير تصدير هذه المحاصيل إلى الصين في إطار دفع العلاقات الصينية المصرية في اتجاه زيادة الصادرات الزراعية للأسواق الصينية وخاصة الموالح والعنب والتمور، حيث تشكل الأخيرة سوقا واعدة للصادرات المصرية في جنوب شرق آسيا. وقال محسن البلتاجي رئيس جمعية «هيا» لتنمية وتطوير الصادرات البستانية أن زيارة الوفد الصيني تساهم في زيادة الصادرات الزراعية من العنب المصري والموالح المصرية، ضمن أحدث الأسواق الواعدة للمنتجات الزراعية المصرية وتشكل محورا جديدا للتعاون الاقتصادي بين القاهرة وبكين، متوقعا أن تشهد الصادرات الزراعية للصين طفرة الموسم التصديري الجديد للعنب والموالح، تنعكس على زيادة عائد الدولة من العملات الأجنبية والاحتياطي الاستراتيجي للدولة. يأتي ذلك بينما أعلنت وزارة الزراعة واستصلاح الأراضي أن إجمالي كميات المنتجات الزراعية المصدرة إلى الخارج خلال الفترة من الأول من يناير وحتى 30 أغسطس الماضي بلغت 3 ملايين و701 الفا طنا من 12 محصولا تصديريا ضمت الموالح والبطاطا والبصل والفراولة والفاصوليا والفلفل والخيار والرمان وباذنجان والمانجو والجوافة والعنب، فيما تعهدت الوزارة بتنفيذ خطط متواصلة لفتح الأسواق الدولية المختلفة خلال السنوات المقبلة. يأتي ذلك وأوضح تقرير رسمي أصدرته الوزارة السبت، أن صادرات مصر من الموالح احتلت المركز الأولي بإجمالي مليون و527 ألف طن، تلتها البطاطس في المركز الثاني بإجمالي 756 ألفا و876 طن، ثم صادرات مصر من البصل بإجمالي 252 ألفا و275 طن، بينما احتلت صادرات مصر من العنب المركز الرابع بإجمالي 133 ألف طن، ثم الفراولة التي احتلت المركز الخامس بإجمالي 25 ألفا و715 طنا. ووفقا للتقرير احتلت صادرات مصر من المانجو المركز السادس في الصادرات بإجمالي 19 ألفا و875 طنا، تلتها في المركز السابع صادرات مصر من الفاصوليا بإجمالي 13 ألفا و891 طنا، ثم صادرات مصر من الفلفل في المركز الثامن بإجمالي كمية بلغت12 ألفا و379 طن، في حين صادرات مصر من الجوافة المركز التاسع بإجمالي كمية 12 ألفا و316 طن. واحتلت صادرات مصر من الرمان المركز العاشر بإجمالي كمية 7 آلاف و166 طنا، تلتها في المركز الحادي العشر صادرات مصر من الخيار بإجمالي كمية بلغت 3873 طنا، في حين احتلت صادرات مصر من الباذنجان المركز الثاني عشر بإجمالي 1024 طنًا. Egypt is due to open four new tunnels under the Suez Canal, taking the time it currently takes to cross via bridge or boat down from hours or even days to just a few minutes. Two tunnels have been built north of the city of Ismailia, some 87 miles north-east of Cairo. Two more run underneath the old and new canals near Port Said, at the northern end of the Suez, on the Mediterranean coast. It is hoped that the tunnels, the construction of which have cost 18 billion Egyptian pounds ($1billion/£780million), will help boost economic growth on the sparsely populated Sinai Peninsula. Excerpt. Read on here for more spectacular photos and info.